Hungry Planet - What The World Eats? 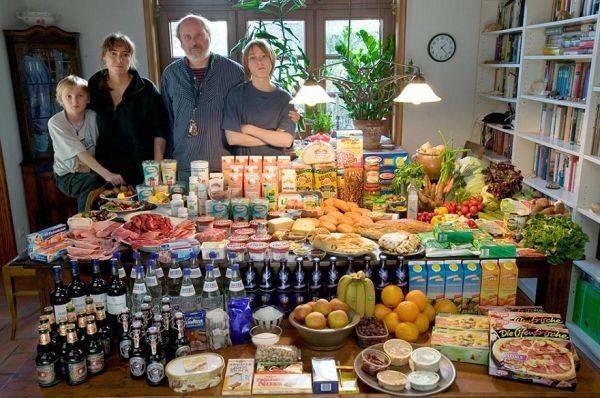 The Melander family spends around $568 per week. 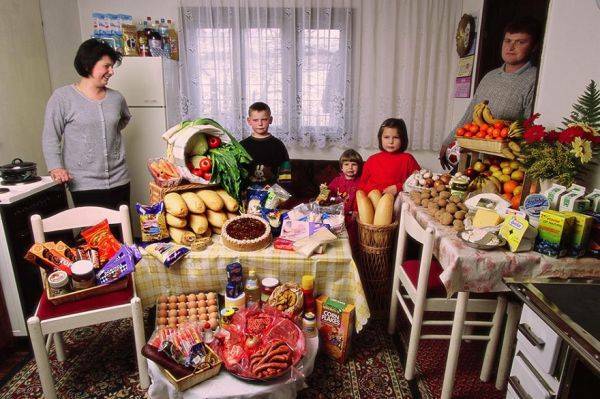 Peter Menzel and Faith D’Aluision traveled the world exploring how the eating habits differ from country to country and presented their results in a photo album, called Hungry Planet: What the World Eats. 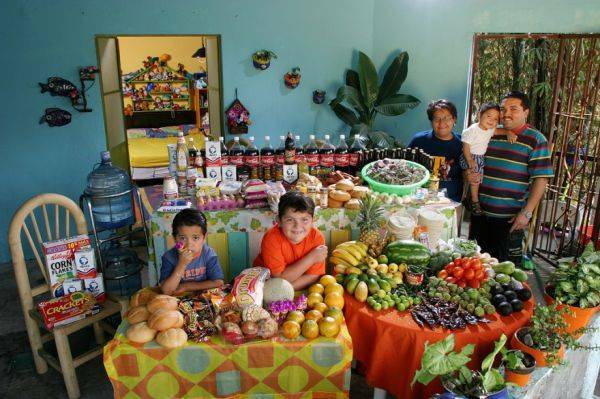 The wife and husband’s team visited 24 different countries and 30 families to photograph them at home, at the market, and surrounded by their weekly food supplies. Apart from being interesting and educative, the project brings up some social issues. The exposed weekly grocery list provides information not only about dietary habits, but also about health, economy, lifestyle, etc. It also clearly shows the division between the first world and the developing countries. 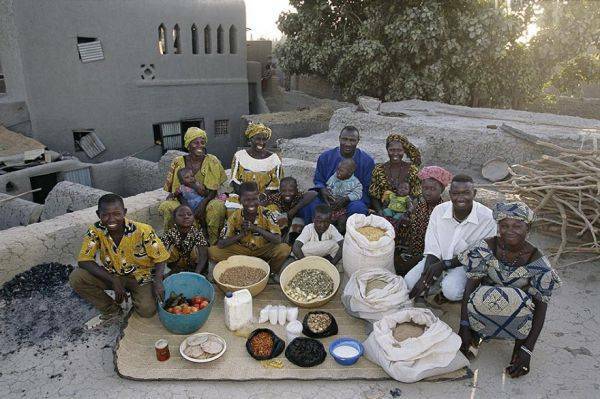 Interestingly, less affluent families eat more nutritious food than those who could actually afford it. On the contrary, more economically stable families eat more processed food, while fresh products constitute just a small part of their diet. 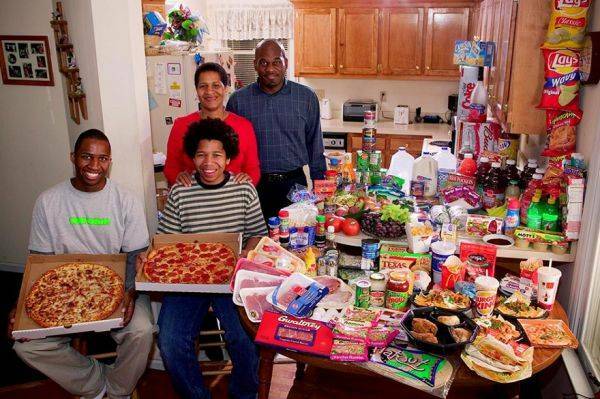 Come to think of it, how much does your family spend on food per week and what kind of food do you eat? The Brown family spends around $428 per week. 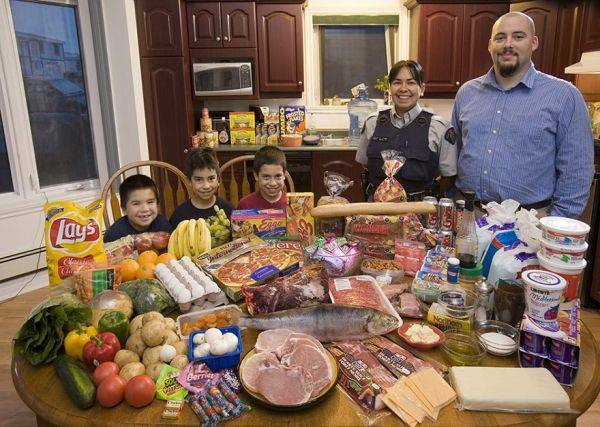 The Melanson family spends around $392 per week. 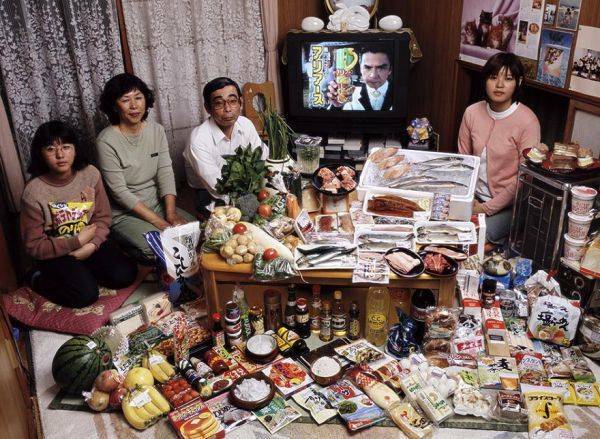 The Ukita family spends around $361 per week. The Revis family spends around $342 per week. The Manzo family spends around $295 per week. 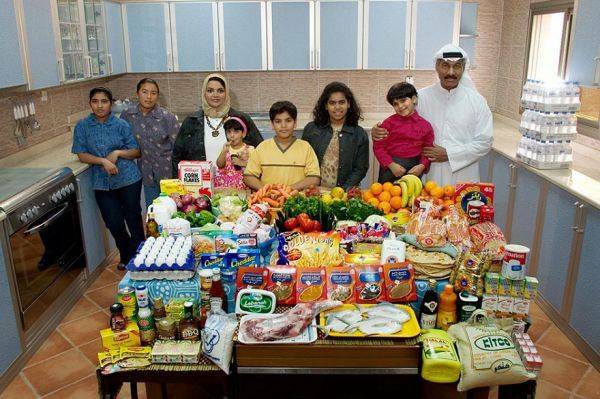 The Al-Haggan family spends around $252 per week. 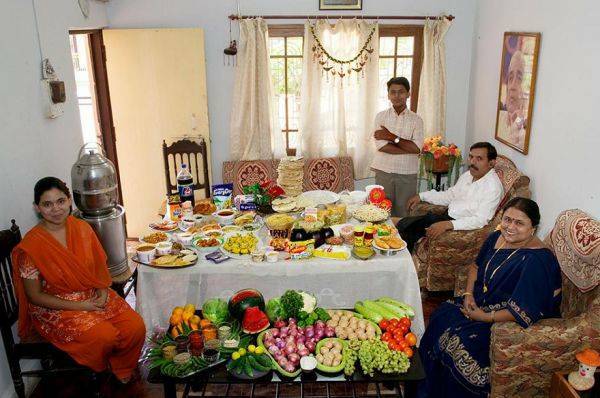 The Fernandezes family spends around $242 per week. 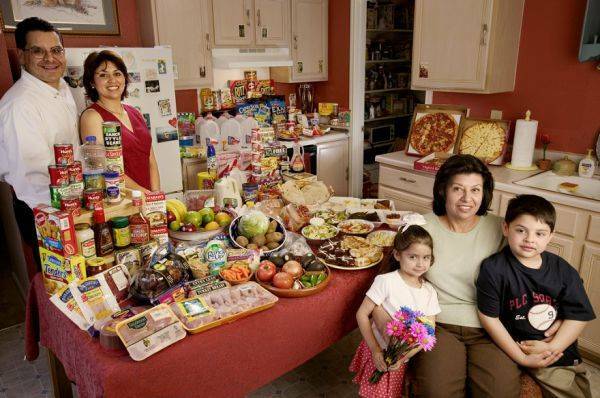 The Casales family spends around $189 per week. 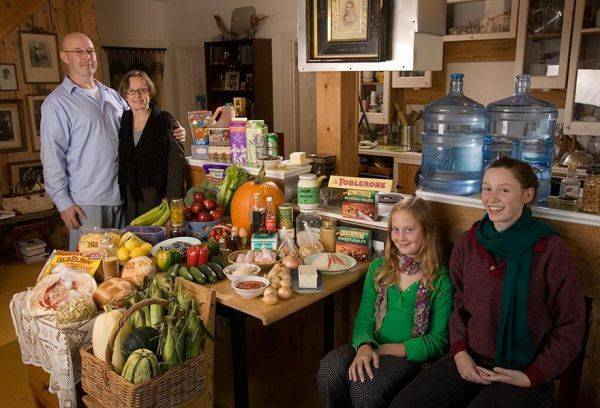 The Finken family spends around $158 per week. 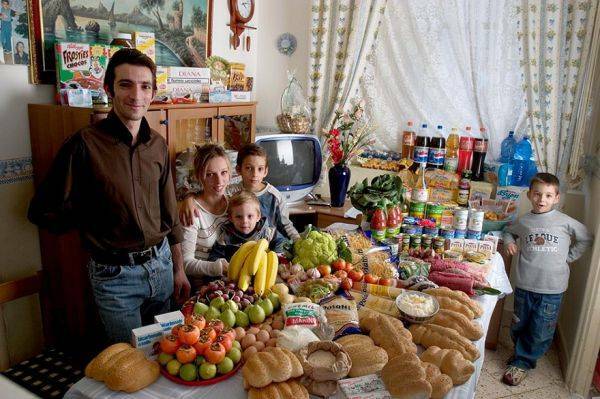 The Dudo family spends around $90 per week. 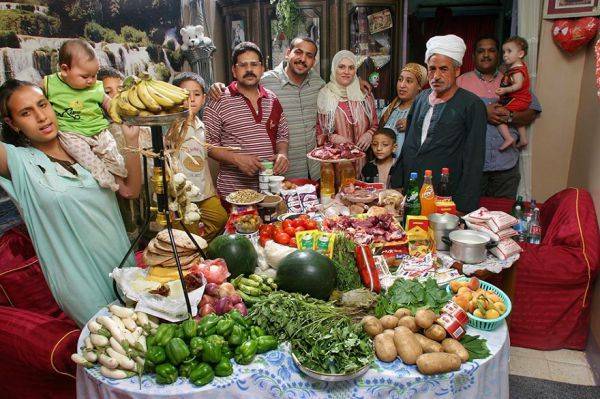 The Ahmed family spends around $78 per week. 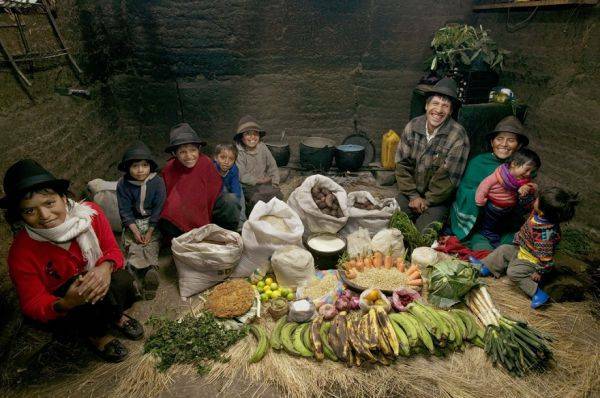 The Mendozas family spends around $76 per week. 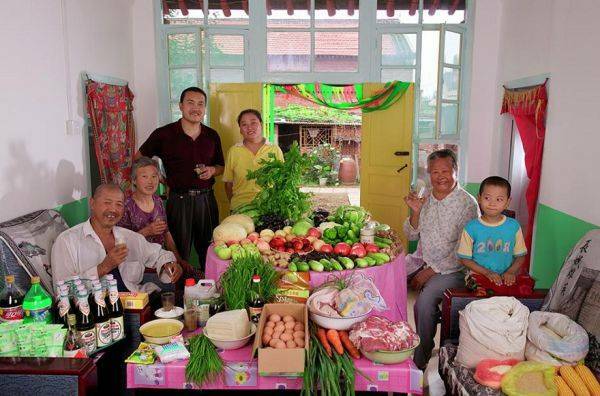 The Cui family spends around $65 per week. 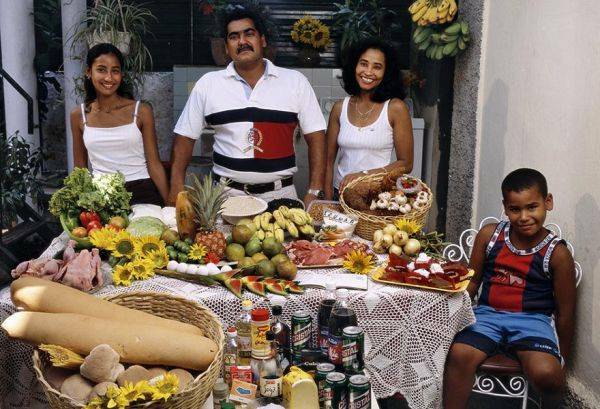 The Costa family spends around $64 per week. The Patkar family spends around $45 per week. 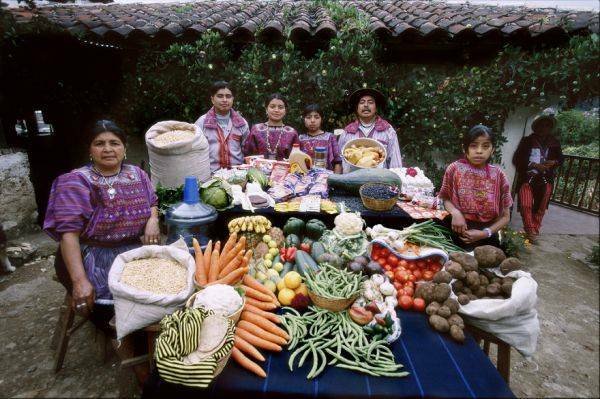 The Natomo family spends around $30 per week. 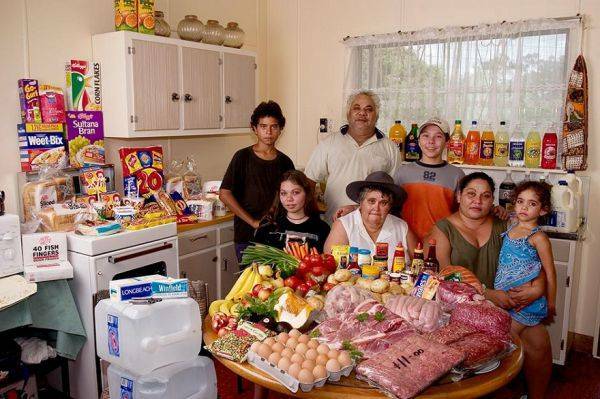 The Ayme family spends around $32 per week.